Increasingly these smart devices are connected into an Internet of Things (IoT), where devices can interact with each other and with applications over the Internet. Even more powerfully they can begin to coordinate independent of human control. Think of cars driving themselves and coordinating with other vehicles. Or smart meters that determine when to run various appliances for optimal power consumption. Extensive data reporting. Any detail measured can be reported, analyzed, correlated and acted upon. Both real-time and historical data for all devices can provide real insight into well performance and indicate deviations from norm. Automated service requests. Todays’ monitoring applications will become tomorrow’s Internet of things, a coupling of devices that can self-diagnose and request service. Sensors, controllers and pump drives are already connected to the Internet for monitoring and reporting. Producers will increasingly look for applications that enable self-diagnostics and automated service requests. Self-diagnostics. Machines can be taught to identify problem states and even diagnose problems. Cars already record anomalous conditions and technicians can retrieve a problem code during service. This rudimentary self-diagnosis will be broadened in the Internet of Things, where the system will be able to do more advanced diagnostics without human intervention, freeing the technician to focus on problem resolution and more complex problems not yet addressed by the IoT. Schedule service. A logical next step from self-diagnostics is automated service scheduling. When the IoT detects a problem, it will be able to tap into the service schedule and create a ticket. Producers will need to integrate their service systems with their remote monitoring and control systems to enable this functionality. Notify service personnel. Notification is already happening in many digital oilfields as units being monitored go out of normal parameters. Watch for this to become more sophisticated over time. 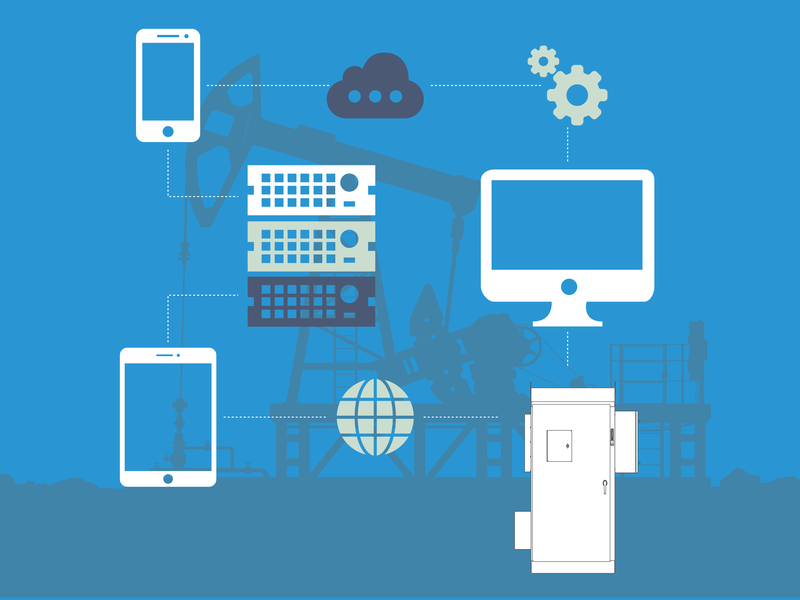 SPOC Automation and Well Optix are leading advances in connecting and monitoring data from wells and fields. Our ongoing research and development aims to make everyday operations more efficient and problem conditions less likely. We are already part of the Internet of Things, taking a leading role in connecting, coordinating, and integrating each thing into the bigger picture. Previous articles looked at the influence of oil prices on Well Optix, trending for better performance, and how Gen Z is changing the work world.